With the weather in New York and Philly in the 30’s accompanied by a cold rain, we are huddled around are space heaters reminiscing about the World Baseball Classic. This weekend is going to be a mess on the east coast and we are only in the first weekend of the LCS. Scheduling of pre- or postponed games looks like it could be a mess between two networks, NFL coverage and bi-coastal commuting. The thought of playing games in horrible weather may result in play that will be certainly painful for those in the stands to watch but even ugly for those of us to watch on television. • The weather is getting so bad that even George Lopez is considering canceling his party. • The weather is so cold that Joe Torre is actually drinking Bigelow Green Tea. • The weather in New York is cold that you feel like you are with Frank and Jamie McCourt. Let’s play ball! Let’s play ball! Let’s play ball! 8. World Series MVP is not going to Disneyland; he’s headed for Santa’s Village! 6. Kate Smith’s “God Bless America” replaced with Darlene Love’s "Christmas (Baby Please Come Home)"
Stay warm and dry everybody! Bill Chuck is the creator of Billy-Ball.com (www.Billy-Ball.com) and, with Jim Kaplan, is the author of, “Walk-Offs, Last Licks, and Final Outs – Baseball’s Grand (and not so Grand) Finales,” with a foreword by Jon Miller, published by ACTA Sports. 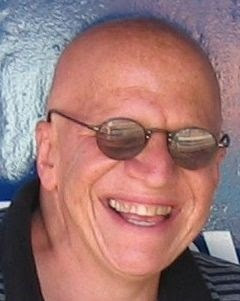 Bill Chuck is a regular contributor to NESN and NESN.com and is available at Bill@billy-ball.com or by calling 617-566-2784.